I am looking for some help on a couple small pieces that I just happened to buy today when I stopped in a small store. I normally would not buy things without proper id’s, but the prices were right. 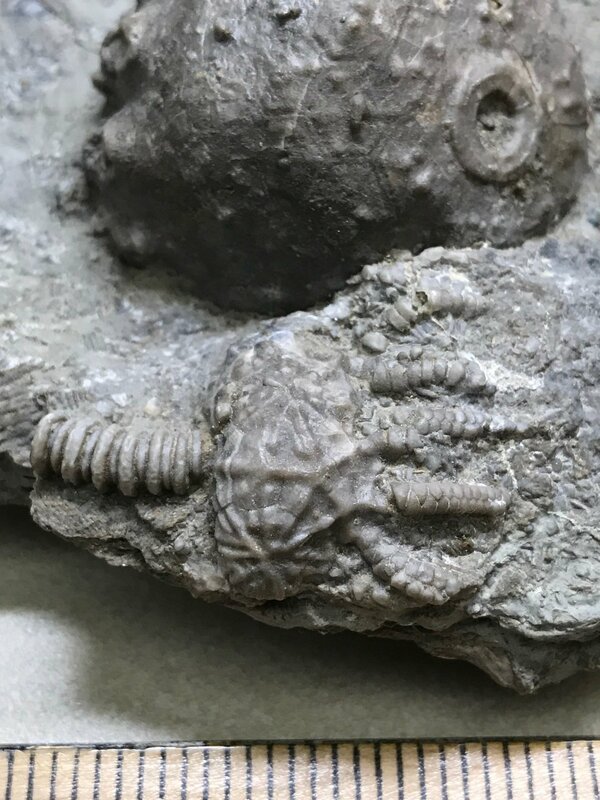 The first piece has what I believe are two different Crinoid calyx- the tag stated that it came from Grantsburg, Indiana and it also had “Haney Fm.” Written on the tag. This was on the back of the plate. 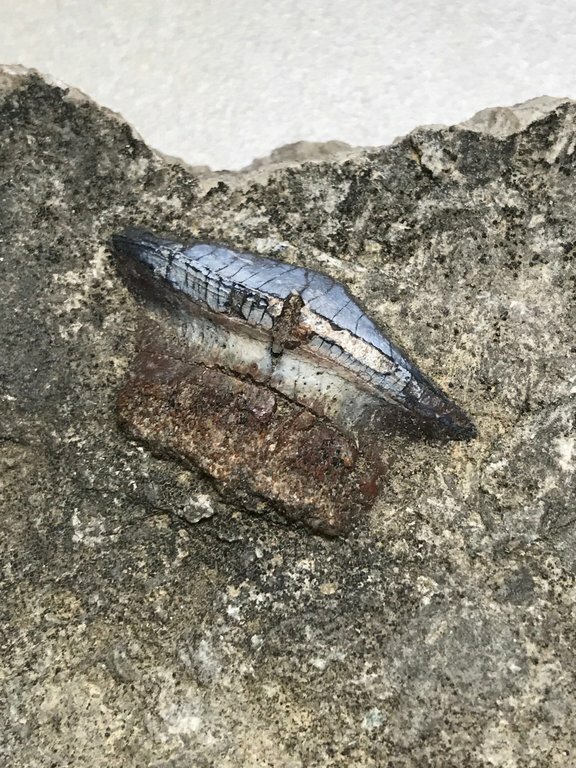 Here is the Petalodus tooth. I have no other info except that it is Pennsylvanian in age. I would really love to have a location that this came from. Nice acquisitions Ralph! Sorry I can't help with ID! I think I need to start shopping in your area. Dave I forgot to put down what I paid for these items. 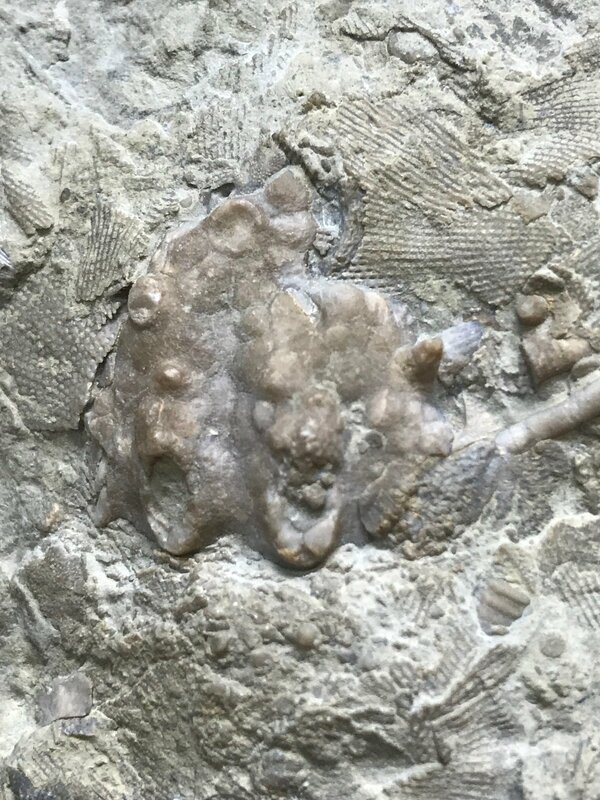 For the crinoid I paid $20 and for the Petalodus tooth I paid $45. I've somehow managed to not buy a fossil to date, but I can darn well tell ya I'd have coughed up $20 in a nanosecond for that crinoid specimen. 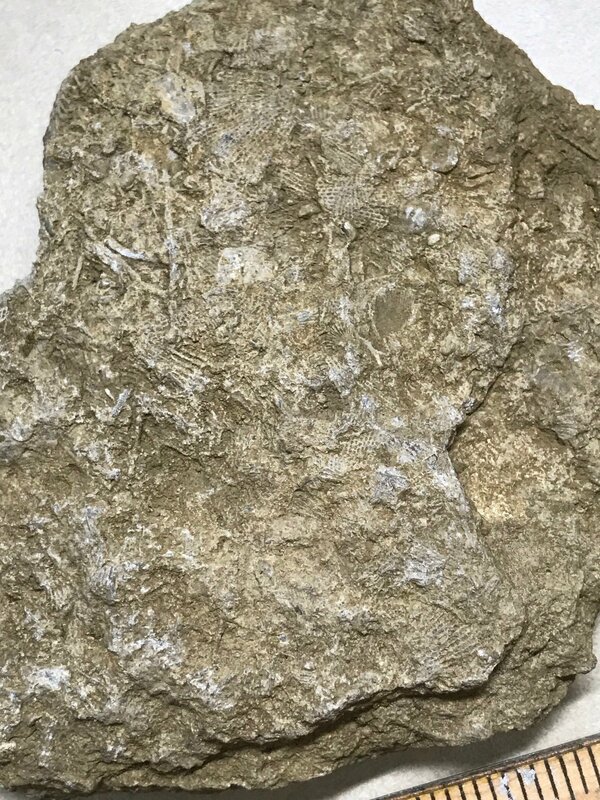 Reminds me of material from the Mississipian cut near Sulphur Indiana. They are quite common in Pennsylvania which is Pennsylvanian in age of course. 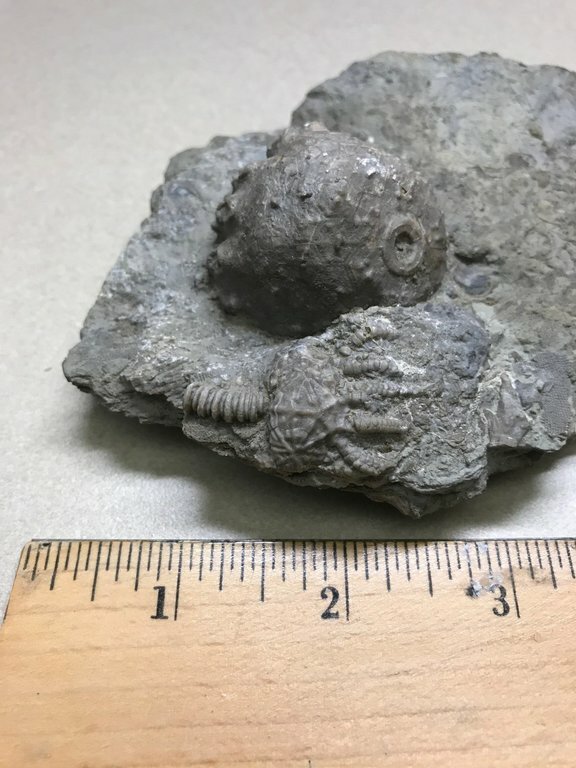 It wouldn’t be unusual for a common fossil to wind up in another state’s rock shop as we know with GRF fish and U-Dig trilobites. Those are some great buys though! I understand that, but I believe both pieces came from either Indiana or Illinois, the other pieces that were at this store were also from Indiana. I believe the owner bought the from a local collector who self collected. I am looking for Crinoid ID's and a possible location of where the tooth came from. I now realize my post may have sounded condescending. I am sorry, I didn’t mean for it to sound that way. I was just clarifying for anyone in the future also looking for info on their Petalodus teeth that isn’t as fossil savvy as you. Believe me it did not sound that way and I did not take it that way, so no worries- I appreciate any type of help. 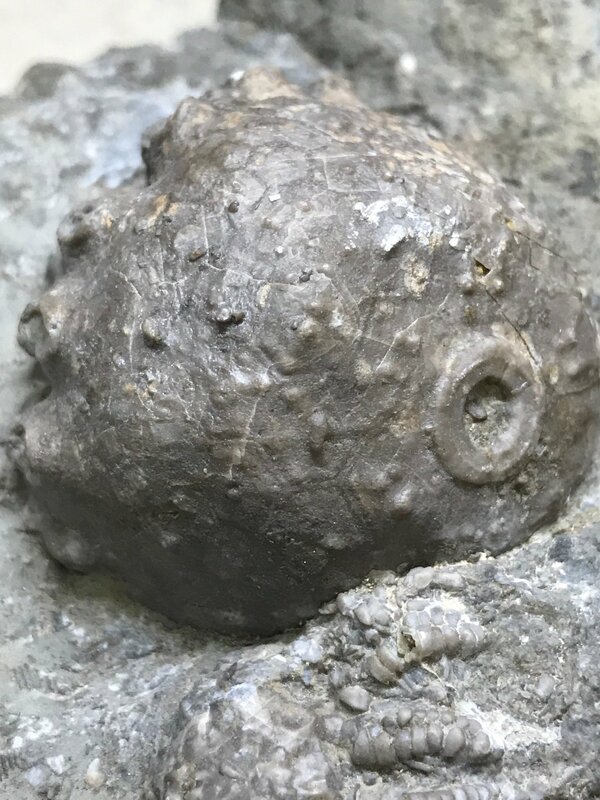 I can't help you with IDs either but the fact that the crinoid came with location info I think means you're well on your way to getting the IDs. I would have snapped it up too! Nice association piece. I don't worry about lack of IDs as I do about lack of location info. For some reason, I'm getting a Silurian Waldron Shale vibe. I am not positive, but I will look it up Tony. @Herb any idea on the first piece? just a guess for the smaller one on the bottom, Cyanthocrinites sp. I am almost sure that the crinoid piece is from none of the places mentioned. 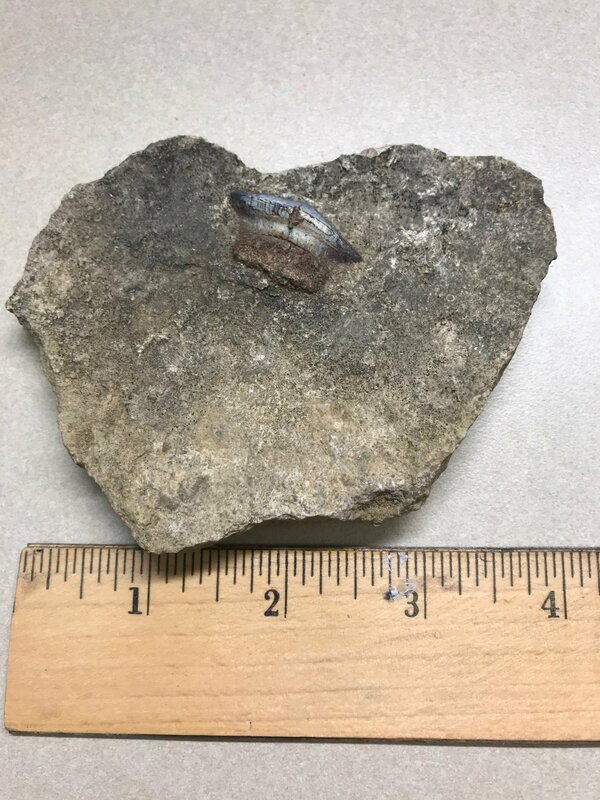 It is Devonian from Alpena, Michigan. You have a Megistocrinus and a Dolatocrinus on the piece. 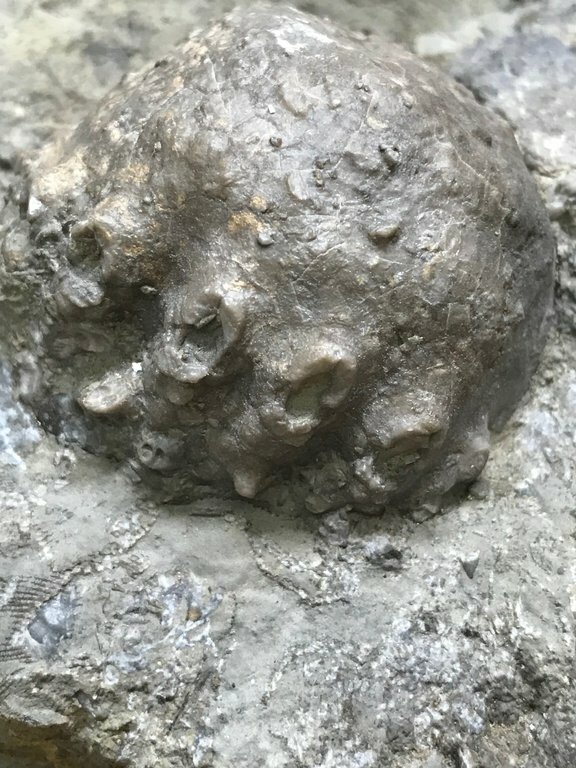 Most probably from the Thunder Bay formation at Partridge Point. I would have to see the matrix to be 100% sure. Curious where you got this piece. Last years at MAPS I ran into someone selling Alpena pieces that were completely mislabeled. Joe thanks for the IDs and location info. I will send you a PM on seller.